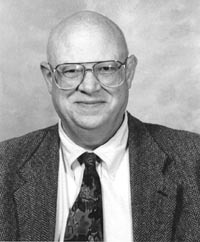 by David E. Stuart, Ph.D.
Why did such a great society collapse? Who survived? Why? In this lively book anthropologist/archaeologist David Stuart presents answers to these questions that offer useful lessons to modern societies. His account of the rise and fall of the Chaco Anasazi brings to life the people who are known to us today as the architects of Chaco Canyon, now a spectacular national park in northwestern New Mexico. Chaco's failure, Stuart argues, was a failure to adapt to the consequences of rapid growth. Foremost among Chacoans' problems were misuse of farmland, malnutrition, loss of community, and inability to deal with climatic catastrophe. The descendants of the Anasazi, the Pueblo Indians of the Southwest, adapted strategically to minimize the impact of these problems. 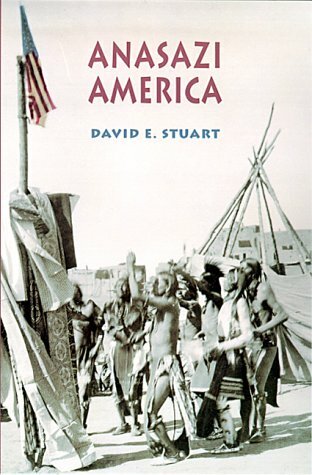 Stuart sees the contrasting fates of the Anasazi and their Pueblo descendants as a parable for modern societies. Anasazi America went on sale July 20, 2001. Cloth is $34.95 (sold out), paperback is $17.95 (still available). Cover photo: American Flag "Dance" at Taos Pueblo, Winter 1905, photographer B. G. Randall. ©1996 Cliff Mills Studio, Santa Fe. David E. Stuart, Ph.D., associate provost and professor of anthropology at the University of New Mexico, is also the author of Prehistoric New Mexico, Glimpses of the Ancient Southwest, and The Magic of Bandelier. His current research focuses on mistakes made in ancient times that we needlessly repeat in the modern world. His personal passions are undergraduate teaching and lecturing to public audiences. Click here to contact Dr. Stuart with your questions, or to schedule the author for a lecture or book signing. See the reviews for Anasazi America. See other books by the author. Copyright ©2001-2002 All Rights Reserved.